Accepting Exhibition Proposals for 2018! Watch This Space welcomes proposals from Aboriginal and non-Aboriginal individual artists, groups of artists, curators and community organisations. We offer 3-week exhibition slots with subsidised hire fees in a unique environment: the Centre of Australia, Mparntwe/Alice Springs. We are currently coordinating our program for March-August of 2018. Please see our Exhibition Proposal Guidelines for more details about the program and how to apply. In 2018, one of WTS’s seven exhibition spots is designated to a contemporary experimental artist of Aboriginal or Torres Strait Islander heritage. This is part of our commitment to nurture an inclusive arts community in Central Australia in a sustainable manner. 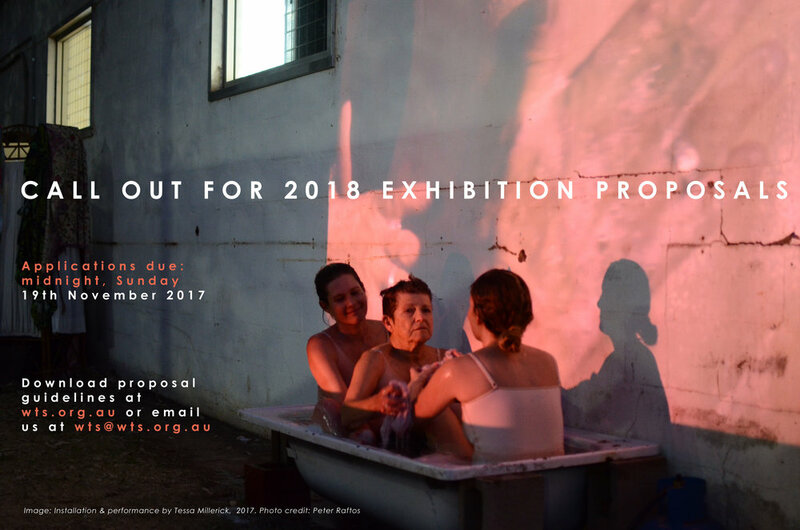 This initiative is a great opportunity to exhibit in a unique space, and seeks to value, respect and promote the practices of Indigenous Australians. We are excited and hope it will encourage artists of Indigenous backgrounds to be part of our program and organisation. Watch This Space (WTS) and Arid Lands Environment Centre (ALEC) are holding a fundraiser exhibition to raise awareness of Climate Change and support the work both organisations contribute to the community. You are invited to create and exhibit an artwork that responds to the article: Why Climate Change Needs 60,000 Artists . This article suggests that artists are an integral component of communicating the implications of climate change more effectively to the broader community. We are asking artists of all mediums to contribute to this collaborative exhibition; painters, photographers, sculptors, woodworkers, textile artists, poets, musicians, performance and multi media artists. Artists can choose to keep a percentage of the sale profits or generously donate all proceeds to ALEC and WTS. Applications for our Exhibition and Residency Proposals for 2017 close 31st October. Get your ideas in quick! Positions available for 2017. Get in touch! Watch this Space works to be a catalyst and conduit for conversations and experiments in the always-evolving languages of art. We support contemporary art dialogue in Mparntwe/Alice Springs both inside and outside a gallery space, encouraging, nurturing and promoting Central Australian and visiting artists. 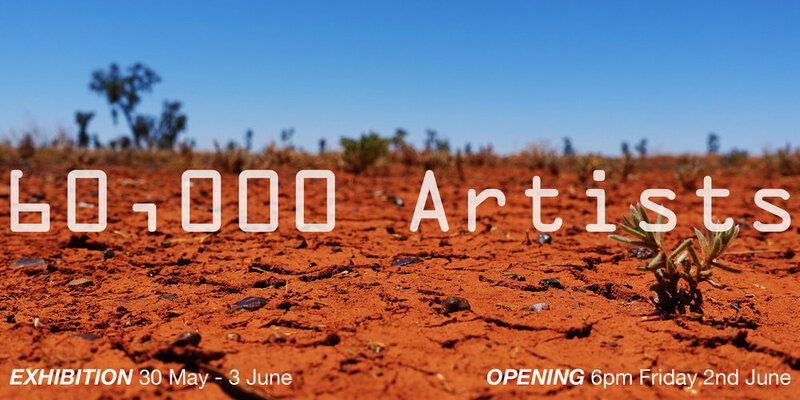 Watch This Space is a dynamic contemporary artist-run space with a long history in the desert of Central Australia. We support exhibitions for local and interstate, emerging and established artists with a focus on contemporary and experimental multi-arts disciplines. While we nurture broader contemporary themes, WTS also aims to stimulate discussion around issues that relate to our local context. Our program seeks experimental, innovative and conversation-inspiring art in all its forms. We offer professional and creative support, mentoring from our Curatorial Committee and the possibility to exhibit work offsite. The 2017 program also offers the opportunity to work alongside local community artists such as Tangentyere and Yarrenyty Arltere. We have a lively onsite studio community of local and visiting artists, large gallery space and outdoor performance area for exhibitions, happenings and events. We are offering local, interstate and international artists, curators and community groups the opportunity to exhibit in our onsite gallery space. We welcome proposals for solo, collaborative or group exhibitions. Our gallery fee is $330 for 3 weeks or $165 a week if less than 3 weeks (inclusive of GST, not including $150 bond), however we recommend you take 3 weeks. Exhibiting artists will not only be given the opportunity to exhibit in our unique Central Australian gallery, but also benefit from the guidance and support of our Gallery Co-ordinator, Curatorial Committee and Board in developing their professional artistic practice. Watch This Space reserves a studio for a visiting artist(s) with the aim of providing an affordable space for artists to focus, percolate ideas and develop work while deepening an appreciation of Central Australia. Residencies can include presentation opportunities but are not outcome-focused – we want to support, not pressure, our artists’ creative endeavors. Cost: $110 inc GST per month. Length of stay is negotiable in advance. Accommodation and transport is the responsibility of the artist to arrange. Residency fee includes studio access, wifi, amenities at gallery, 24hr access. WTS offers all residents creative, professional and practical support. Your Travelling Artist Residency application must be submitted as a single PDF document to wts@wts.org.au, with all of the following information to be included. If residency is to be undertaken by multiple artists, please send information for all artists involved. Watch this Space ARI is now calling for artists and content for its 2015 exhibition and residency programs. Watch this Space in Alice Springs NT is an artist-run initiative that focuses on developing and showcasing contemporary and experimental art in all its forms. It has been running since 1993, making it one of the oldest ARIs in Australia. Despite its modest population of only 25,000, Alice Springs hosts a vibrant and supportive arts community and culture. Proposals for exhibitions are sought from local, national and international artists at any stage in their career. Residencies for one month or longer can be applied for by residents living outside of Central Australia. To apply or find more information about exhibition proposals and residencies click here.